In terms of rivalries, from a distance Baltimore against New England just looks like your usual matchup, but there is alot more to this game than that. These two hate each other. The regular season has been dominated by the Patriots winning the last 7 out of 8 but its the playoffs that is where the rivalry starts. The Ravens have beaten the Patriots twice in Foxborough, with Joe Flacco being able to go stride for stride with the great Tom Brady. 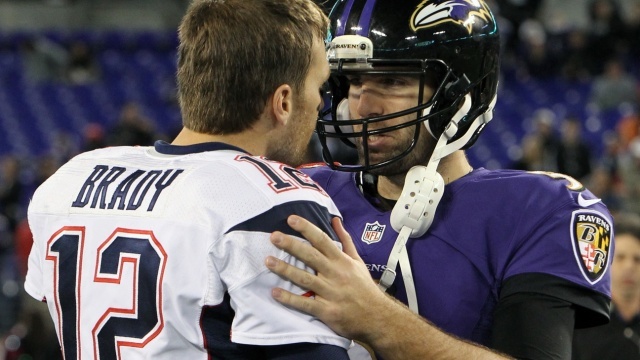 Baltimore delivered two of Brady's three home play off losses in his illustrious career. The meetings between these two teams are generally close and on Monday night there is a lot on the line. 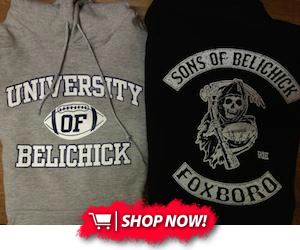 The Patriots looking to consolidate the No.1 seed in the AFC and the Ravens clinging onto a spot in the playoffs. "Now we have our toughest challenge," Harbaugh said. "We're going to need to play our best football on Monday night up in New England to win that football game. We do believe we have a chance to do that based on where we're at right now. That's what we're shooting for. The Ravens enter the game with the NFL's overall defense in the NFL, allowing 296.1 yards per game. Brady is the league's top-rated quarterback (113.1). While Brady has dominated the rest of the league, he's had some struggles against Baltimore. In six career games against the Ravens, Brady has six touchdowns and three interceptions with quarterback rating of 83.6. He has also been sacked 14 times. Harbaugh and Bill Belichick have both been known to bend the rules but the Ravens Head Coach denies the similarity. In particular with the Patriots decision to alternate eligible and ineligible receivers in a playoff game New England won at Gillette Stadium in 2015. How is it any different to deliberately use a blatant holding tactic against the Bengals a few weeks back and in SuperBowl XLVII.